ASTANA – The Aral Sea and its fishing industry, one of the biggest man-made ecological disasters, is recovering, reported express-k.kz. The sea, situated between Kazakhstan and Uzbekistan, produced 23,000 tonnes of fish in 1946. Fifty years later, the figure had plummeted to just 30 tonnes. For the last few years, joint efforts between Kazakhstan and international organisations to revive the sea, or at least mitigate the disastrous effects of Soviet-initiated irrigation mega-projects, have been making the impossible possible. As a result, 16 small factories and fish processing enterprises have opened in the region, with the annual total catch reaching 7,000 tonnes. While the Aral Sea is still far from being restored, it is a sea being revived, especially its norther part, the so-called Small Aral. Problems such as poaching, seasonality and excess production capacity, however, still remain. The waterway once supported 34 species of fish, more than 20 of which were of commercial importance. The sea is now home to local flounder, zander (pike-perch), carp, vobla and bream brought from the Azov Sea in the 1970s. It is now possible to serve Aral fish, which was close to disappearing, for lunch or dinner. The revival also represents exports, as Kazakh zander and carp are quite popular in a number of European countries, and the market price has caught up with the availability. In ancient times, the Aral Sea was famous for its fish. They were so plentiful that at times, fishermen simply needed to beat the surface with sticks for a catch. During the Soviet times, however, water from two rivers that flowed to the sea was redirected to irrigate the cotton fields. As a result, the sea started to shrink and the rivers were contaminated with pesticides. The salt level increased, creating a deadly environment for fish and those who once lived along the shores. Many attempts were made to save the Aral, but the countries sharing the sea disagreed about its proper management, creating a challenge to its preservation. Therefore, Kazakhstan began to save only the part of the sea in its territory, the Northern or Small Aral. Kokaral Dam was later built, with the co-funding from the World Bank, to divide the single sea into the Small Aral, which received water from Syr Darya River, and the dried-up Southern (Large) Aral, once fed by the Amu Darya River. 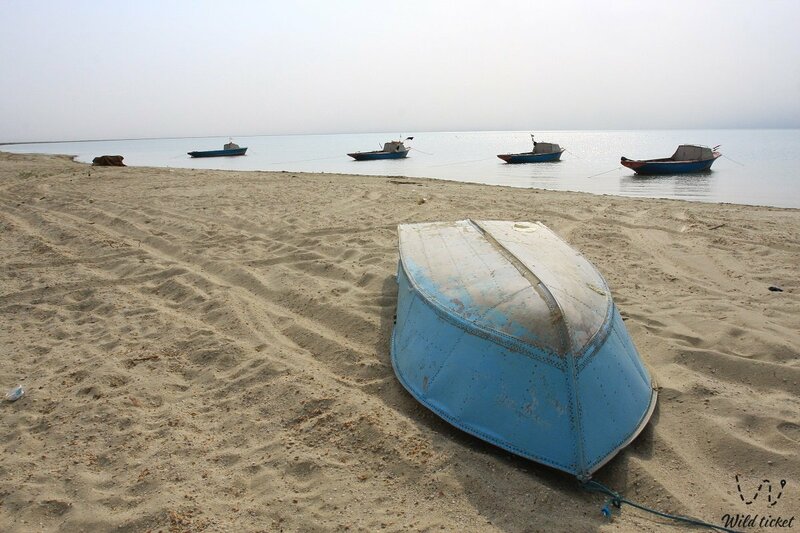 With the help of Danish specialists, Kazakhstan created the Save the Aral Sea project to revive and develop fisheries. Measures were taken to stop local emigration, especially of fishermen, from Agespe, Akbasty and Tastubek villages on the western shore of the Small Aral Sea. Aral Tenizi, which united local small fishery farms into one powerful production organisation, was established in Aralsk. Aral Sea area residents receive water, electricity, and gas and the dam has significantly improved the infrastructure, primarily roads.